As cyclo drivers rest easy below neon billboards, the emerging Vietnamese middle class cruise past on their way to meet friends at the newest, hippest restaurant. Welcome to Ho Chi Minh City, Vietnam’s largest and most exciting metropolis. When you think of Saigon, what do you see? Is it street scenes of cyclos, corner coffees and bia hoi stalls? Is it the image of the Americans being evacuated by helicopter from rooftops? How about tanks breaching the gates of Independence Palace, or the “quiet American” strolling down Rue Catinat? Forget what you think you know about the city. Today, Independence Palace is called Reunification Palace and Rue Catinat is now Dong Khoi, where a turn of the century French opera house is nestled between luxury hotels and flash department stores. With a booming economy, a growing middle class and a young, educated work force, Saigonese are getting their Americanos from hip cafes in time-warped apartment blocks, dining on artisanal pizza and sipping craft beer. Visitors may be drawn by Ho Chi Minh City’s past—the Saigon of yore fictionalised in literature and Hollywood movies—but the booming metropolis has cast aside the yoke of the war they lost to the North. Residents have both feet (and their motorbike wheels) moving towards the future, fast. How things have changed from the sleepy days pre-16th century, when the Khmer fishing village of Prey Nokor was established on a vast swampland. Saigon’s origins date back to the early 17th century when Ming dynasty refugees began arriving and settling. It quickly flourished with shipping and trade of agricultural products, and additional waves of immigration fuelled industries such as ceramics, boatmaking and blacksmithing. Over the centuries, Prey Nokor developed into the Saigon the French found when they conquered in the second half of the 19th century. It ushered a new industrial era under three regions: Tonkin (northern Vietnam), Annam (central) and Cochinchina (south). Within a very short time the French began to leave their mark on Saigon through extravagant development with grand boulevards and even grander buildings like Norodom Palace (later replaced by Independence Palace and eventually renamed the Reunification Palace, the Saigon Central Post Office, the Opera House, several churches (most notably Notre Dame Cathedral) and buildings that now house the Ho Chi Minh City Museum, Fine Arts Museum and museum dedicated to Ho Chi Minh. Saigon became the so-called Paris of the Orient, the capital, political and administrative centre of Cochinchina while Cholon, the Chinese settlement to the west, was the economic and import/export powerhouse. For 100 years, the French ruled and extracted what they could from the region, much of it passing through Saigon’s ports. This glowing description masks the harsh reality of colonial rule. One need only see the brutal prisons and “tiger cages” on Con Dao and Phu Quoc island to see what happened to those who resisted imperial powers. The fight for independence began in the 1930s. The First Indochina War, which was primarily against the French but also involved Japan and China, ended with French defeat at the Battle of Dien Bien Phu in 1954. The conclusion of one war triggered a line of falling dominoes. The Geneva Conference in 1954, ironically aimed at restoring peace in Indochina, led to the region’s official division at the 17th parallel between the north governed by the Viet Minh and the south governed by the State of Vietnam, soon reestablished as the Republic of Vietnam (South Vietnam), with Saigon as its capital. Those dominoes tumbled into the Second Indochina War, also known as the Vietnam War. The partition in 1954 caused mass migration from the north into Saigon, and American influence meant the city experienced another bump in urban development, giving rise to modernist buildings like the Caravelle Hotel and many apartment blocks, which to this day are one of the city’s distinguishing features. As the conflict deepened, Saigon swelled with troops and refugees. Some of the most iconic images of the war came from the streets of Saigon during this tumultuous time, appearing in newspapers, magazines and television sets around the world: a monk’s self-immolation to protest the persecution of Buddhists by South Vietnam president Ngo Dinh Diem, a nonchalant general the moment before he executes a Viet Cong soldier, Americans scaling a ladder to reach a helicopter for a rooftop evacuation at 22 Gia Long Street, and a tank breaching the gates of Independence Palace on 30 April 1975, signalling the fall of Saigon and South Vietnam, the end of the Vietnam War. After the defeat (or victory, as Vietnamese history books would put it) the city became a paltry shadow of its former grandeur. Saigon was renamed Ho Chi Minh City. The Communist victory meant widespread repression and anyone remotely associated with the other side was sent to re-education camps for years of labour, torture and starvation. The economy buckled under a heavy hand as entrepreneurial spirit was almost all but stamped out, the Chinese trading class particularly hard hit. Refugees continued to flee the country in the immediate aftermath of the war up until the early 1980s. Two million “boat people” risked their lives to make it to other Southeast Asian countries, with the diaspora eventually resettling in countries like the US, Canada, Australia and France. Through a policy of industrial privatisation known as doi moi, from the late 1980s to the early 1990s the country’s economic leash was loosened and Ho Chi Minh City has never looked back. Today it is the largest city in Vietnam and it is the country’s economic success story, with people pouring in from all over the region for education, work and opportunity. For lack of a better term (and bitingly ironic), Ho Chi Minh City is the country’s “American dream”. Locals often still call the city Saigon, but the landscape has certainly changed with the times. Towering developments now pierce the skyline, squeezed between crumbling apartment blocks, markets, parks and tree-lined boulevards rudely interrupted by blue metal fencing of an underground metro construction—better get used to seeing that because as of 2017, the project was lumbering on into its sixth year; current projections have completion of Line 1 set for 2020. Ho Chi Minh City’s French colonial and heritage architecture are at risk, as are its street vendors due to a “sidewalk reclamation” campaign to declutter the footpaths. In 2017, Ba Son shipyard, Saigon’s oldest and most important maritime sight, was unceremoniously demolished to make way for the monolithic Vincom towers. From one day to the next, a century-old building is suddenly a pile of bricks, rows of giant trees are reduced to mulch, something with steel and glass sprouting in its place. The pace of change is alarming and you’ll get whiplash doing double takes. It’s the modern day version of the fall of Saigon. Clearly the developers are not sentimental but the city is at risk of losing the architectural and cultural soul that draws tourists. It’s hard enough as it is for Ho Chi Minh City to compete against the likes of Hoi An or Hanoi with their UNESCO World Heritage delights, or the beaches of Nha Trang or Mui Ne. Many time-crunched travellers breeze through Ho Chi Minh City, at most an unavoidable layover in which case they only see Pham Ngu Lao, the backpacker hub and Khao San Road of Vietnam. It’s true that the city is thin on actual tourist sights. The few they do have, like the Chu Chi Tunnels and the Mekong Delta day trip, suffer from cheap, run-of-the-mill tours and touristy trappings. The sights of District 1 (the historic heart and downtown core) can be done in a day. But the main attraction of Ho Chi Minh City is the city itself, an unapologetic clash of old and new. The growing educated middle class can afford iPhones and lattes, but left in the shadow of development are the underclass, who eke out a living as street cleaners, dishwashers, rubbish collectors, cyclo drivers and vendors who will spend the night sleeping on the cases of beer they sell. It’s these snippets and juxtapositions of the increasingly wealthy on the one hand, and the hard knock daily life on the other that make the city so fascinating (and not to mention, unfair). The more time a traveller spends whizzing through its streets, climbing up neolithic apartment blocks, noshing on street food and exploring the hems—millions of narrow alleys that spider off into a maze of hole-in-the-wall homes—the more you’ll see the real Ho Chi Minh City. How much time have you got?! The city’s excellent budget accommodation and food scene is reason enough to linger. Here you’ll find some of the best cuisine in Vietnam, from a street vendor selling papaya salad in the same location since the 1980s to haute cuisine moi, modern Vietnamese cuisine. Don’t forget the quirky cafes, speakeasy cocktail bars, alleys lined with Japanese izakaya, craft beer gastropubs and dining in the dark. A street food tour on the back of a bike can cover five courses during one evening while a cooking class will load you up with new skills and take-home recipes. When it comes to exploring the country, Ho Chi Minh City opens up an entire world of possibilities. If all roads lead to Rome, then all domestic flights lead to Tan Son Nhat Airport. We preach about the joys of slowing down to see the world by bus or train, yet we’re all for time-crunched travellers taking that quick flight to Buon Ma Thuot, Qui Nhon or Dong Hoi for Phong Nha if it means more travellers getting “out there”. 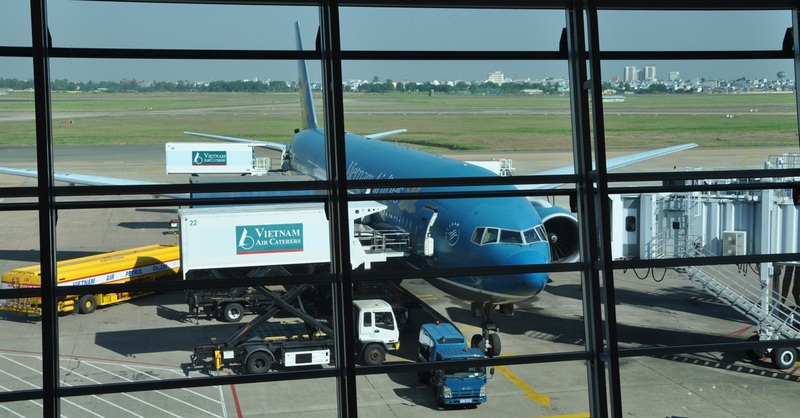 Prices with domestic carriers Vietnam Airlines, VietJet and Jetstar remain reasonable. A flight remains the best way to reach Con Dao islands, one of our favourite destinations in all of Vietnam. Visit before the planned fast ferry starts bringing the masses to the island. Temples choked with incense smoke, photogenic wholesale markets heaped with strange goods and historic churches reward those who head to Cholon, Vietnam’s largest Chinatown. The War Remnants Museum reflects on the horrors of the past, Reunification Palace is a snapshot of the 1960s, while contemporary art galleries, shopping malls and cosmopolitan walking streets look to the future. As a Southeast Asia megacity, Ho Chi Minh City is unlike any other.  Please sign up as a Travelfish member to download the Ho Chi Minh City guide PDF (48.2 MB, 198 pages). Membership costs just A$35 per year (less than A$1 per week) and gives you access to over 250 PDF guides. 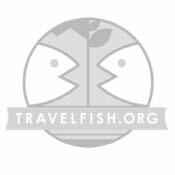 Use the above map to find specific destinations in and around Ho Chi Minh City which are listed on Travelfish. Bed icons indicate a guesthouse, hostel or hotel, the knife and fork is an eatery or bar and the four-way circular thingy marks sights, attractions and other points of interest. Click on any icon for a short pop-up and a direct link to the page for that spot. If you are in the area, use the teardrop icon near the top left to show your position on the map (you'll need to allow position sharing for this last feature to work).